At least seven members of Philippines President Rodrigo Duterte’s security team were injured in a roadside bombing by suspected Muslim militants. The attack comes ahead of Duterte’s visit to an area of intense battles between Islamists and government troops. An explosive device planted along the road detonated when the presidential convoy headed to Marawi, the capital of Lanao del Sur province on the island of Mindanao, the second-largest island of the Philippines. 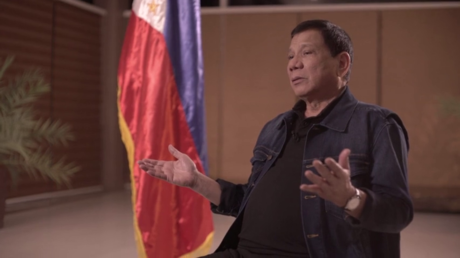 The convoy reportedly included seven members of the Presidential Security Group, two soldiers and Duterte’s media team, according to media reports. 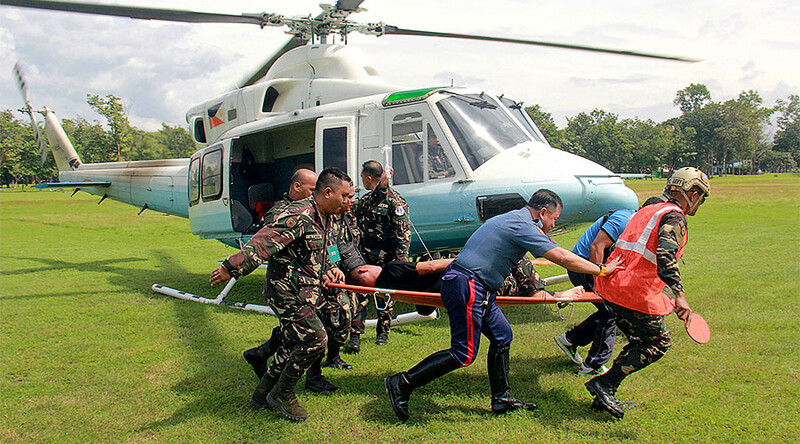 “The convoy was ambushed using an IED while traversing from Iligan City to Marawi City,” Armed Forces spokesperson Brigadier General Restituto Padilla said. The injured men were immediately airlifted to safety. Members of the president's official media team were also in the convoy, but were unharmed. The president chose to ignore the advice. Philstar newspaper cited Padilla as saying the attack might have been staged by Maute, an Islamist group which pledged allegiance to Islamic State (IS, formerly ISIS/ISIL). On Monday, Philippines police found a homemade bomb in a trash bin near the US embassy in Manila. According to National Police Chief Ronald dela Rosa, the Maute group may have been behind the attack. Explosives experts successfully conducted a controlled detonation of the bomb. Earlier the Philippines military launched raids against Maute members in the mainly-Muslim rural town of Butig, some 800km from Manila and just 50km from Marawi, where Duterte is heading on Wednesday. According to the military, some 35 militants were killed in the operation. Maute was also linked to the bombing in Davao in September this year. That attack claimed 15 lives with dozens more injured.